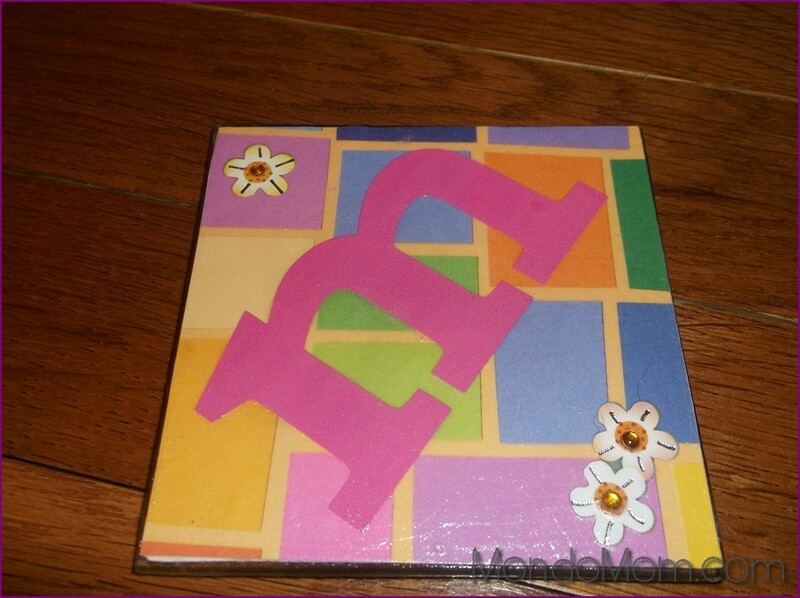 I love me some pretty scrapbook supplies! Pretty papers, stickers, washi tapes, glitters, etc. 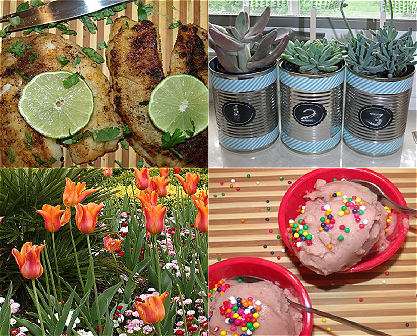 They make me smile and make me feel like my space is pretty and personalized! 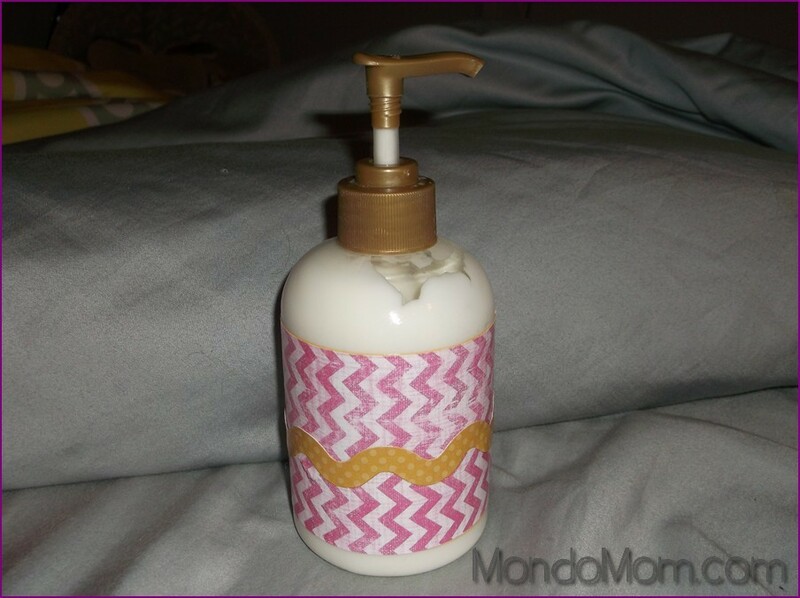 So I took a plain, boring lotion bottle and prettied it up using pretty pink chevron scrapbook paper and golden yellow zig zag border tape. I just used Modge Podge to adhere the scrapbook paper to the lotion bottle and then stuck the border tape on top! 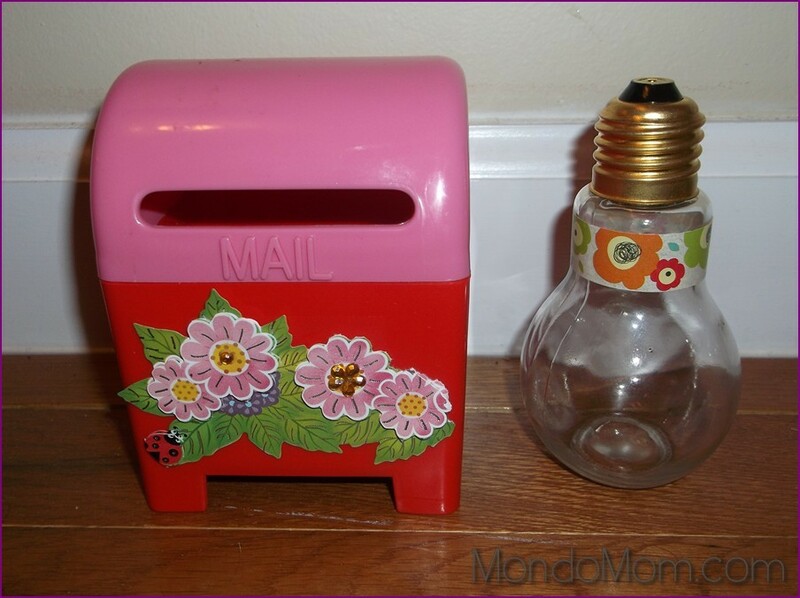 This pink mailbox was found at the Dollar Spot of Target around Valentine’s Day. I first bought it for my daughter to play with but when she tired of it, I snatched it for décor in my office space. I like to stick small notes inside the mailbox. It’s so petite and cute! I just put some 3-D pink flower stickers on the front of it for added interest. The glass lightbulb was found at Hobby Lobby for a few bucks. I just added a strip of floral washi tape along the top. I love the symbolism of the lightbulb for my office! 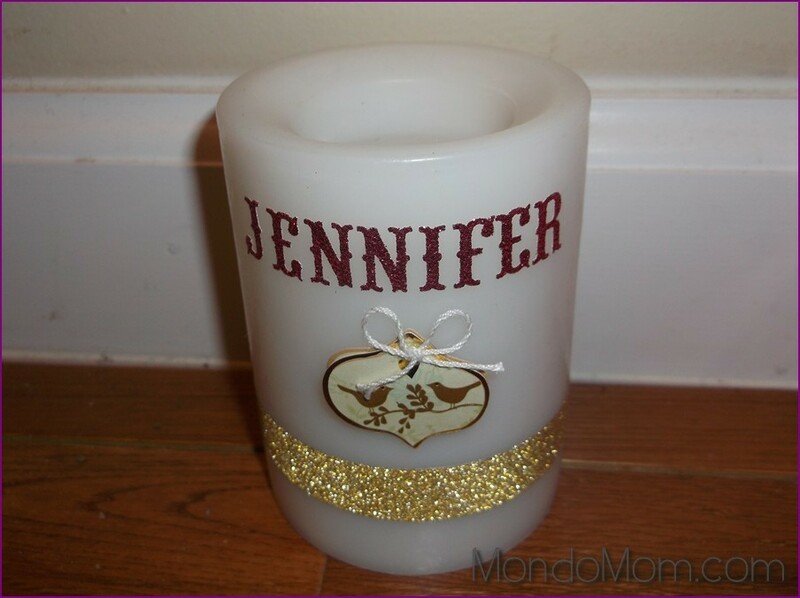 This next item is a flameless candle. 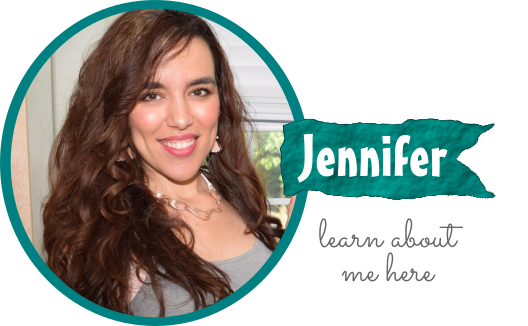 I simply stuck on pink glittery stickers spelling my name “Jennifer” along the top. Then I added a gold bird sticker and some gold washi tape to the candle. This notebook is where I store my ideas, to-do lists and other notes on my desk. 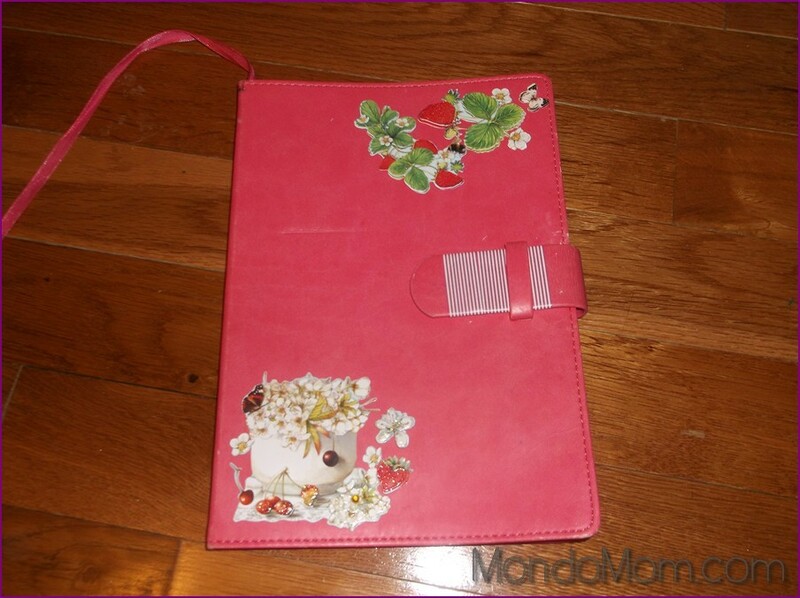 I simply added some pink Dollar Tree stickers to the front of the notebook. It looks lovely now! These next two coasters were done in the same way I’ve done coasters in the past. The one with the letter “m” will go on my nightstand. 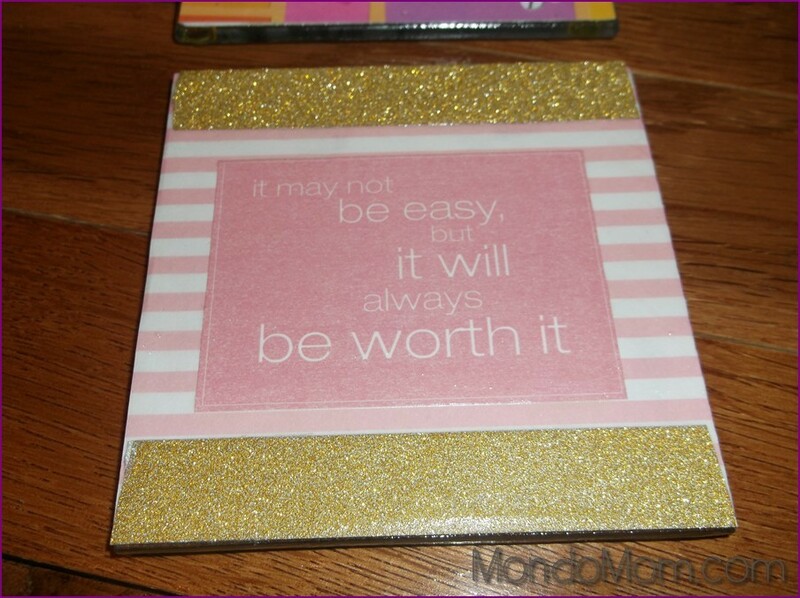 The one with the phrase “it may not be easy, but it will always be worth it” will go on my office desk. 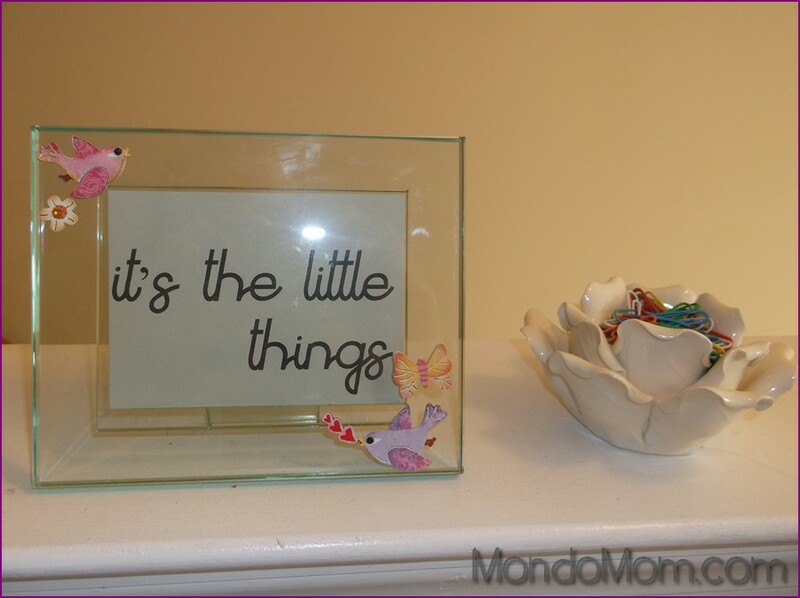 The glass picture frame was embellished with more bird stickers and the flower sculpture holds all my paper clips.